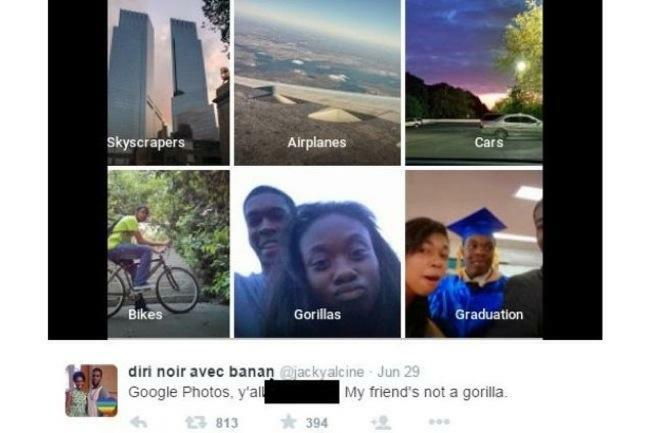 Google labelled a black couple as gorillas in its new Auto-Tag in Photo App. Apparently the search engine claims that the label was mistakenly placed. The app tags uploaded pictures automatically using its own artificial intelligence software. The error was brought to its attention by a New York-based software developer who was one of the people pictured in the photos involved. The unfortunate app failure comes after Google enabled the undo send on Gmail. Google was under attack on social media when people decided to give the company a piece of their mind. Many black people were offended by the label and criticized Google. “It was high on my list of bugs you ‘never’ want to see happen.” Mr Zunger said Google had already taken steps to avoid others experiencing a similar mistake. He added it was “also working on longer-term fixes around both linguistics – words to be careful about in photos of people – and image recognition itself e.g better recognition of dark-skinned faces”. This is not the first time the Auto-Tag in Photo App has mislabeled one species as another. In May the app was tagging pictures of dogs as horses. Google Vice President Bradley Horowitz said that the new Auto-Tag in Photo App aims to be a sort of Gmail for pictures, making everything more organized. In order to achieve this, Google Photos leverages powerful algorithms and search to sort through all of your images, putting them into collections so you can easily find what you’re looking for. “The more moments we capture, the more challenging it becomes to relive those memories. Photos and videos become littered across mobile devices, old computers, hard drives and online services. It’s almost impossible to find that one photo right at the moment you need it, and sharing a bunch of photos at once is frustrating, often requiring special apps and logins,” Google said. “There is still clearly a lot of work to do with automatic image labeling, and we’re looking at how we can prevent these types of mistakes from happening in the future.” Reports BBC.